Remember 6sqft’s post about a madcap engineer who wanted to pave over the East River in 1911 in order to create a “Mega-Manhattan?” Well, 13 years later, John A. Harris, deputy police commissioner in charge of traffic, came up with his own proposal for incorporating the river into the streetscape of the city: draining it entirely. Published in Popular Science, the never-realized scheme addressed New York’s growing traffic congestion problem, said to have been costing the city $1.5 million a day. It would have transformed the waterway into “a five-mile system of automobile and motor-truck highways, subway lines, parking spaces, and city centers.” Two concrete dams were to be erected, one near the Williamsburg Bridge and one near Hell Gate, and the riverbed would be “bridged with levels supported by steel uprights,” thereby connecting the four boroughs. 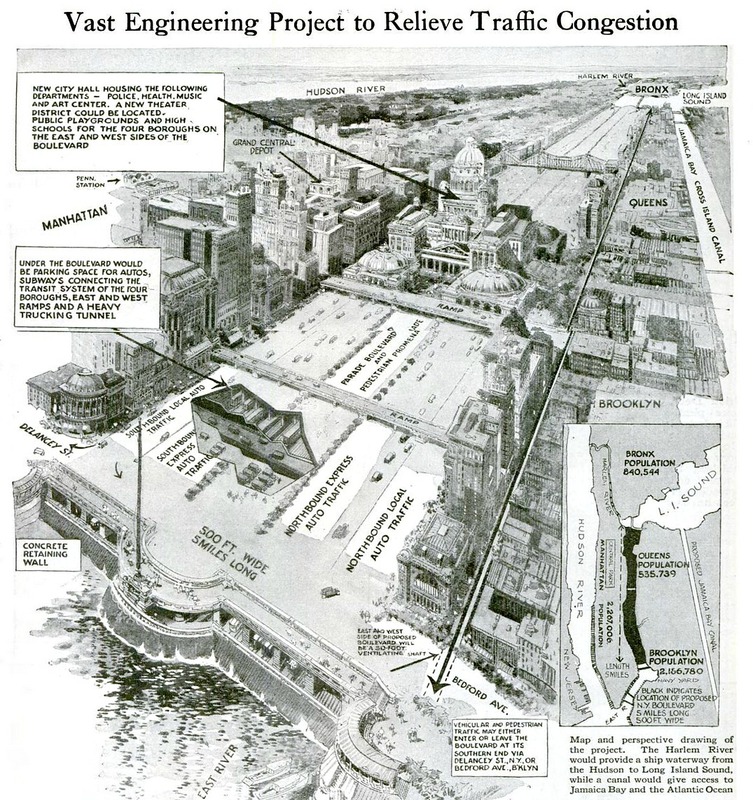 From the river bed would be built subway lines, vehicular subway, taxi stands, conduit, city equipment departments, parking spaces, and private and municipal garages. On the top level would be five 100-foot boulevards for autos and pedestrians. Ramps would be provided for cross-traffic. 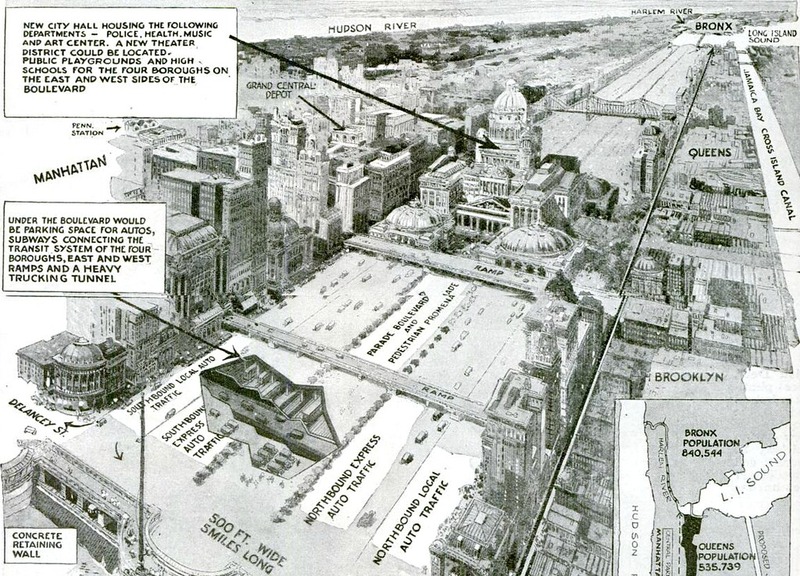 And midway along the great thoroughfare would be erected an imposing city hall and community center.